THIS EVENT IS IN THE PAST. MARK YOUR CALENDAR NOW TO JOIN US IN 2018! 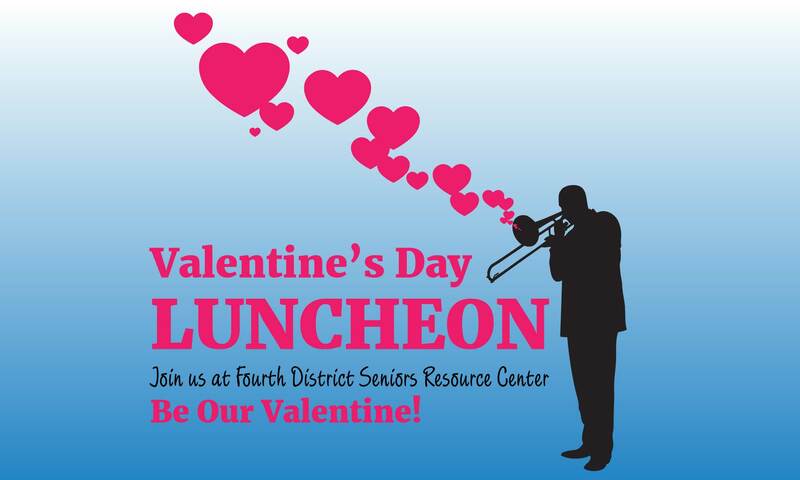 The Fourth District Seniors Resource Center & SWAG (Single Widowed Adult Group) Cordially Invite You to our 1st Valentine’s Day Luncheon.